Inspiration! 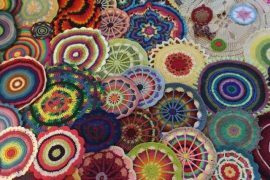 Beautiful Patterns and Examples of Steampunk Crochet!! Amazing steampunk crochet wig by A License to Quill who blogged a photo tutorial in four separate posts for working a piece such as this one. 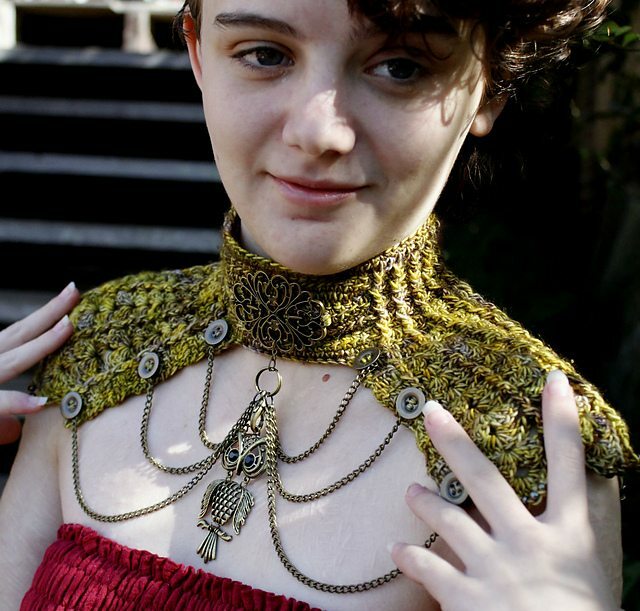 Beautiful steampunk lace crochet collar piece by Scarlet Rabbit. 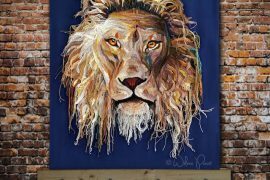 The artist shares on Etsy that she began knitting and crocheting as a child, eventually realizing that she preferred crochet, and that she is drawn specifically to creating “Beautiful Crochet Lace Accessories for Steampunk, Victorian, Costume and Gothic Wear”. 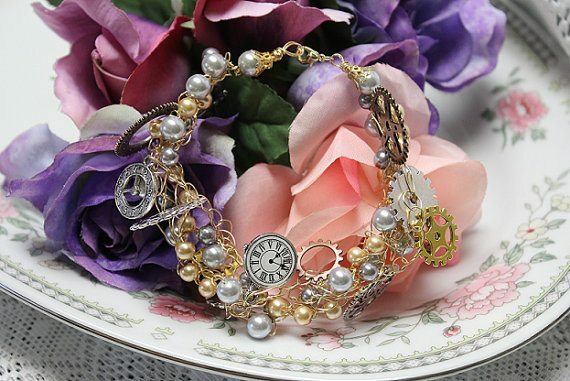 In addition to stunning collars like this one, she makes steampunk wrist cuffs and jewelry. 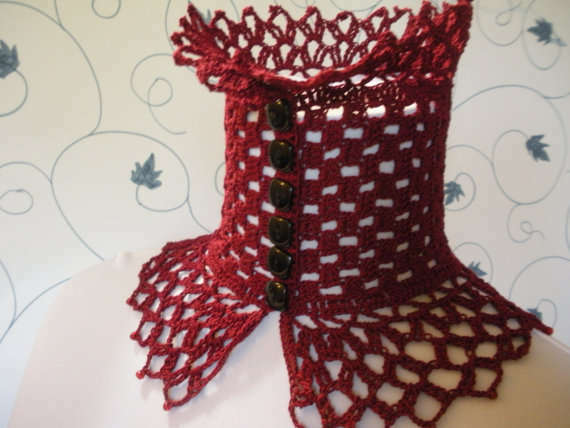 Sarah Jane Designs sells this steampunk crochet neckpiece pattern on Ravelry. It is part of a complete set of patterns including a waist cinched, wrist cuffs and boot spats. 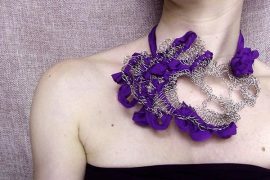 This is a great example of how crochet can be accessorized with chains and other hardward / metal work to enhance the steampunk style of the piece. Another great option for working steampunk crochet is to use write crochet techniques in combination with mixed media, as we see was done here in this steampunk wire crochet bracelet sold on Etsy by BySaraffin. 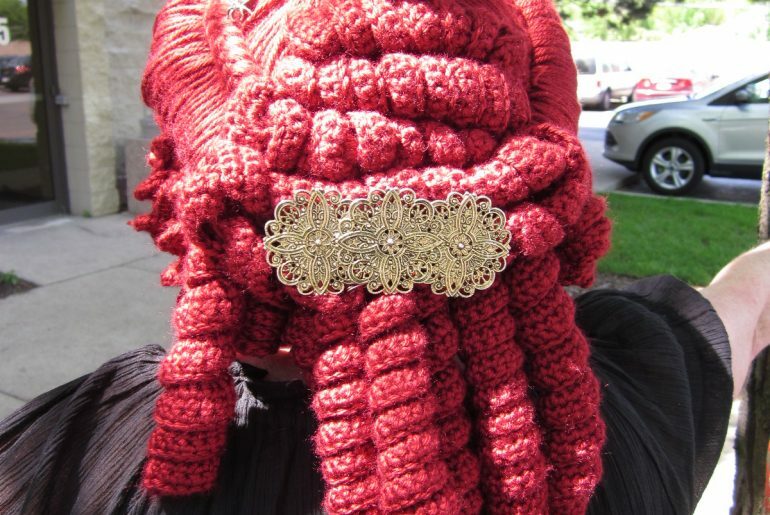 This is a steampunk-inspired crochet fascinator designed by Kaij who used to have a shop on Etsy selling a variety of this unique headpieces. I interviewed Kaij in 2011, where she explained that she was inspired by vintage designs, especially those of the Victorian era. 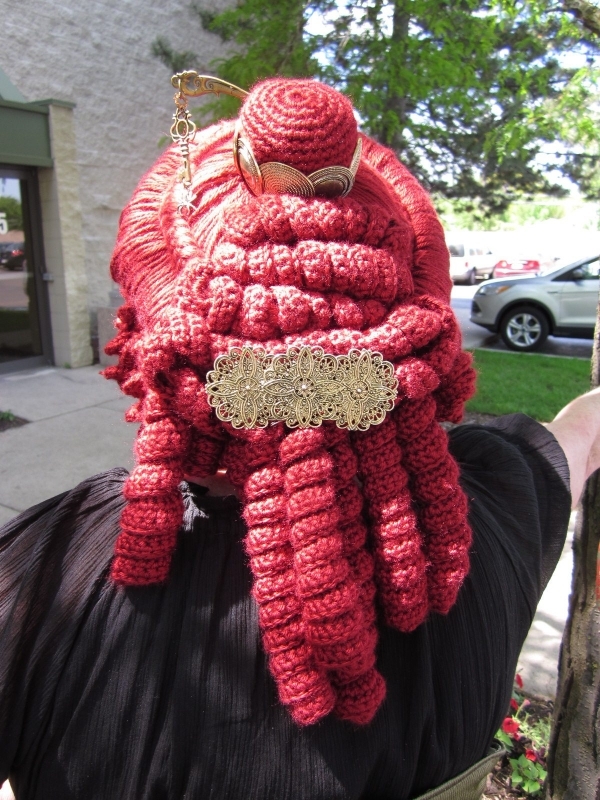 The same year that I interviewed Kaij, I also interviewed StrawberryCouture, a maker of amazing crochet hats including the one above that is inspired by steampunk designs. 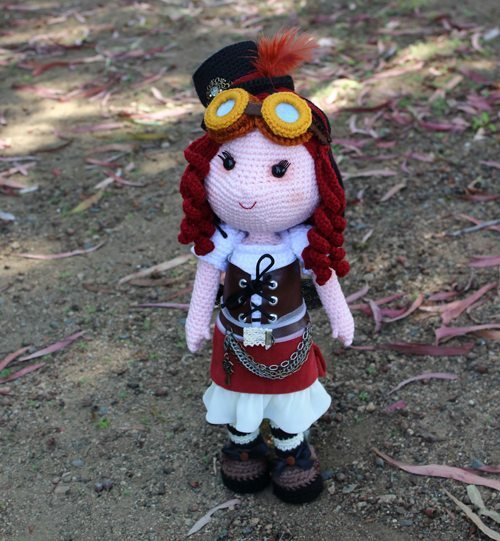 A quick look at her current Etsy shop shows that she has nearly 100 designs labeled as steampunk! 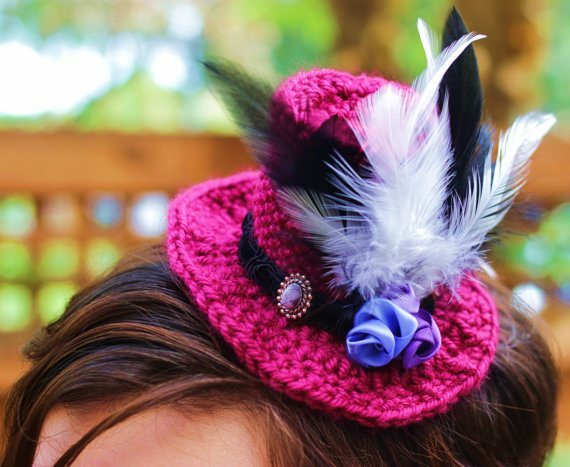 Twelfth Vista Knitwear on Etsy crochets tiny top hat fascinators embellished with feathers, ribbons, hardware and more … perfect for any steampunk event. 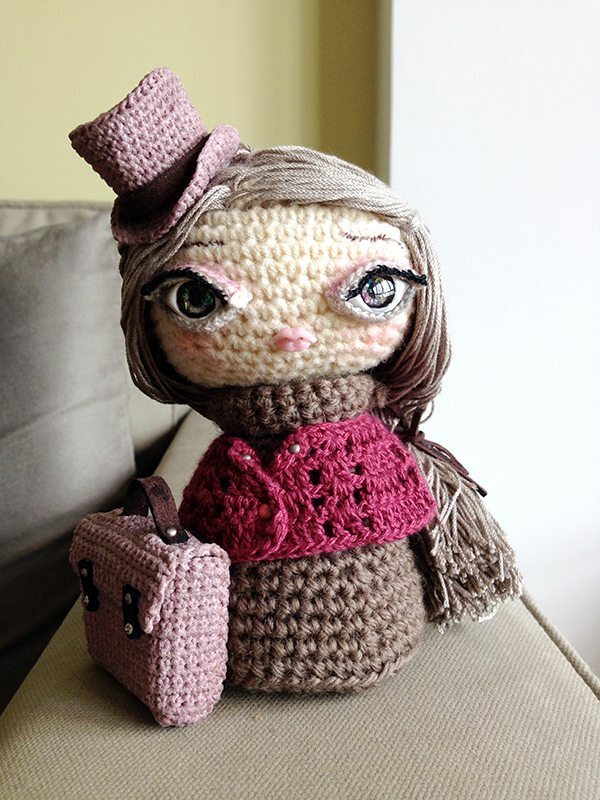 Artist Christine R. Bay explains that this steampunk crochet art doll was made for a project called Project WaWa where all the artists began with the same basic doll then made it uniquely their own. 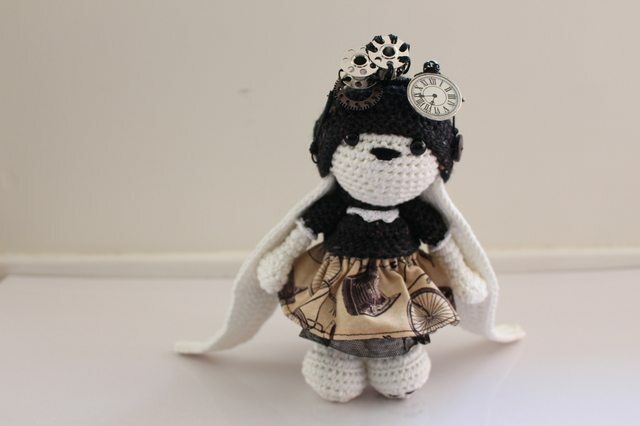 Here is another steampunk crochet doll, this one by Miss Dolkapots Krafties, who used a pattern for a Frozen Elsa doll as the base to begin this inspired project. 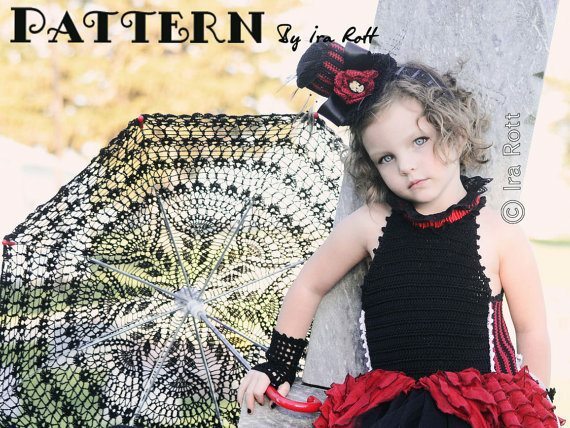 This is a steampunk-inspired crochet umbrella pattern by Ira Rott Designs that uses basic crochet stitches to create a stunning lacy parasol! 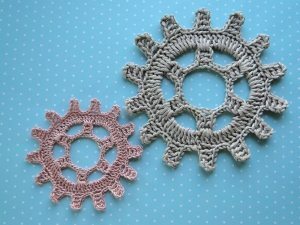 This simple steampunk crochet gear free pattern from Crochet Leaf could be an appliqué for a costume. 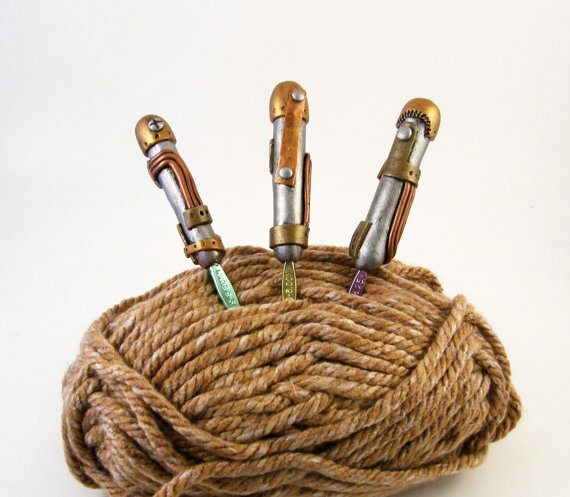 A set of them could be strung together into a belt or necklace or even bunting for a steampunk themed party. Individually they could be coasters at the same party! 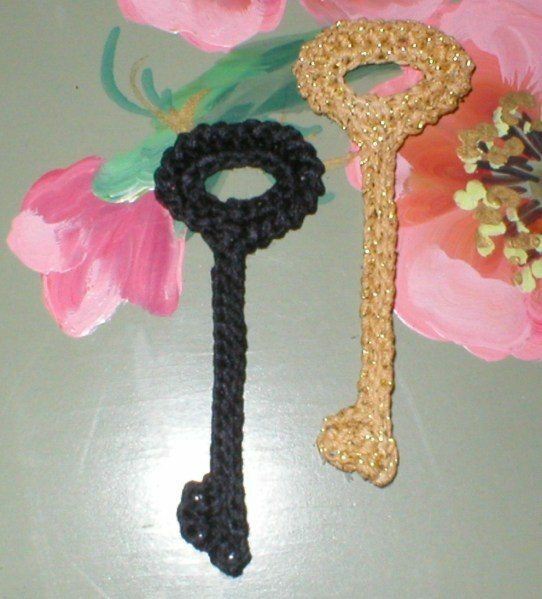 Here is a skeleton key free crochet pattern by Karen Glasgow Follet Designs – great to use on a chain as steampunk jewelry! 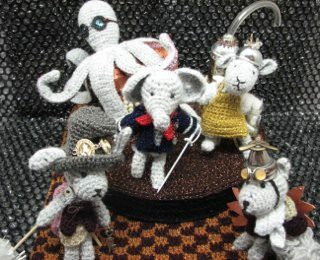 This crocheted Steampunk Amigurumi Soiree by Donna Childs won second place in the Artistic Expression category at the Crochet Guild of America’s design competition in 2014 and was featured in the Fall 2014 issue of Interweave Crochet. 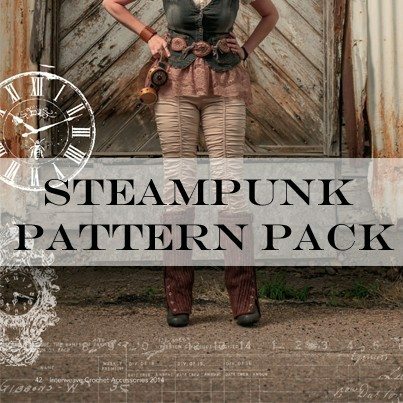 Interweave Crochet also sells a Steampunk Crochet Pattern Pack featuring eight crochet accessories patterns that would for steampunk costumes.